The best part? We’re giving the power of photo advertising away to you for FREE through January 2, 2017. 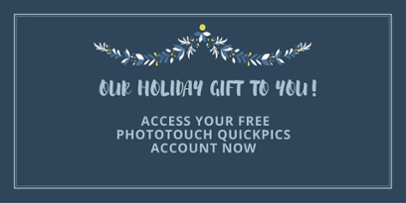 Sign up for any PT QuickPics plan and you’ll be able to launch campaigns to complement your holiday marketing plans and events.